Wedding is an auspicious occasion for everyone’s life because it won’t come again. It is a lifetime opportunity and every girl wants the best look on her special day. Well known professional makeup artist, Sohni J offers exclusive bridal makeup services to her clients. She is expert in grooming her brides. She very well understands the hidden feelings of the brides as the occasion of marriage is very special. In case of bridal makeup, one can’t take chance that’s why every girl chooses the best makeup artist available. 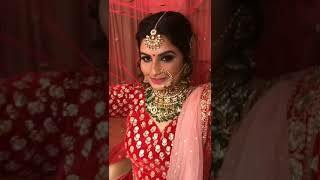 Sohni J provides makeup service to the brides by using high quality makeup products so that the bride can get long lasting look. She is also well known to provide image makeovers through her majestic makeup tricks. Each and every type of makeup service is given by Famous Makeup Artist, Sohni Juneja. Not only at her makeup have studio but also she provided her services at the respective venue of the clients. appointment with Famous Bridal Makeup Artist in Delhi.